There have been plenty of leaks from the past few months about the ZTE Axon M and the device has become official. This device comes with a foldable body like the flip phones that we have seen earlier. Here the handset comes with two-screens which are separated by a hinge in between giving and 6.75” display when it is unfolded as the display is placed on either side. There is a bezel placed in between these displays that give an illusion of two screens. These screens are LCD’s with 5.2” display and 1080p resolutions and this can be taken advantage of in four different ways. There is also a Dual mode which lets its user open per screen. There is also an extended mode which gives a huge 6.75-inch display to make work easier. Apart from these, there is a Mirror mode that will be showing the same content on both the display screens. Well, this device is going to feature just one camera while sporting a 20MP camera sensor. Under the hood, there is a Snapdragon 821 SoC coupled with 4GB of RAM. The onboard storage is limited to 64GB which can be extended further via microSD card slot. Out of the box, it will run on Android 7.12 Nougat operating system and expected to get further updates when available. On the rear, the company has provided a 3,180 mAh battery to power the handset and also has a dual speaker with 3.5mm headset jack. 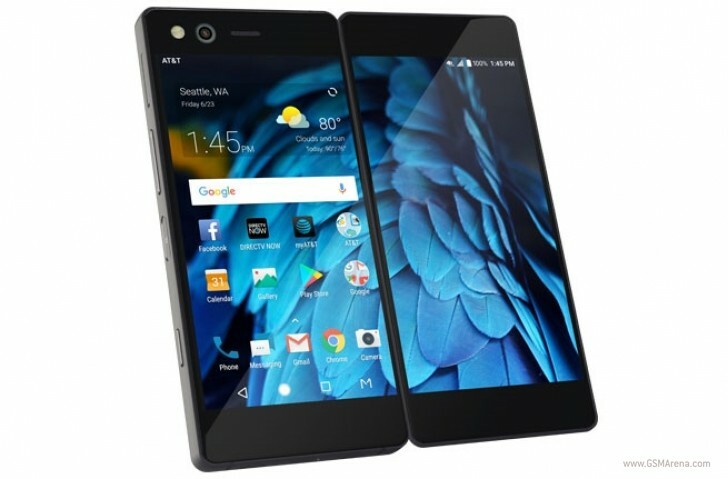 The ZTE Axon M will be available exclusively on AT&T in the US from next month and is expected to be launched in China, Japan, and Europe in the coming months. This foldable device is priced at $725 or can be purchased for 30 months installment for $24.17 every month. What do you think about this device? Are you planning to get this device? Comment in the section below and stay tuned for more news and updates.